It is a feature of our website that much of the content is contributed by many different third parties and we do not have control over those parties or their opinions. 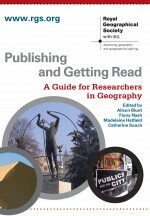 As such, any opinions expressed by the contributors or in post comments are not necessarily the opinions of the Royal Geographical Society (with IBG) or John Wiley & Sons, Ltd.
All intellectual property rights in and to this website are owned by or are licensed to John Wiley & Sons Limited and The Royal Geographical Society (with the Institute of British Geographers). Any content or materials published on this website are protected by copyright © John Wiley & Sons Limited and The Royal Geographical Society (with the Institute of British Geographers) or are published under licence from the copyright holder. By providing contributions to this website you agree that you will only provide materials and content of which you are the author, and grant to the Society and Wiley a non-exclusive licence to make the materials and content available for as long as it wishes to do so. may contain viruses, worms, malware, Trojan horses or other harmful or destructive content that may damage the Society’s or Wiley’s or other users’ technology. You warrant that any such contribution does comply with the standards above, and you will be liable to us and indemnify us for any breach of that warranty. The Society and Wiley reserves the right to remove or not to post any material submitted to the website. The website may be subject to some moderation, however neither Wiley nor the Society shall be responsible as author, editor or publisher of any contributions included in the website and we expressly exclude all liability for any loss or damage arising from the use of the content by any person. All comments, letters and discussion items will be attributed to the contributor in the form provided in the submission. You agree to the use of your name and position on the Website in connection with your contribution. Material contained in this website may be downloaded, viewed and printed for personal use or internal circulation within your organisation provided that no trade mark, copyright or other proprietary notices contained in or appearing on such material are removed in whole or in part. Material contained in this website may not otherwise be copied, reproduced or redistributed in whole or in part without our prior written consent. THE WEBSITE AND ALL MATERIALS CONTAINED THEREIN ARE PROVIDED ON AN “AS IS” BASIS, WITHOUT WARRANTIES OF ANY KIND, EITHER EXPRESS OR IMPLIED, INCLUDING, BUT NOT LIMITED TO, WARRANTIES OF TITLE, OR IMPLIED WARRANTIES OF MERCHANTABILITY OR FITNESS FOR A PARTICULAR PURPOSE; THE USE OF THE WEBSITE IS AT THE AUTHORIZED USER’S OWN RISK; ACCESS TO THE WEBSITE MAY BE INTERRUPTED AND MAY NOT BE ERROR FREE; AND NEITHER WILEY, THE SOCIETY NOR ANYONE ELSE INVOLVED IN CREATING, PRODUCING OR DELIVERING THE WEBSITE, SHALL BE LIABLE FOR ANY DIRECT, INDIRECT, INCIDENTAL, SPECIAL, CONSEQUENTIAL OR PUNITIVE DAMAGES ARISING OUT OF THE AUTHORIZED USER’S USE OF OR INABILITY TO USE THE WEBSITE.